Random thoughts: The weather in Portland has been very clear and very cold lately (by NW standards, anyway). So I thought this would be the perfect opportunity to try a mulled cider. The instructions on the bottle recommended warming the cider on the stove or microwave and warned against boiling. 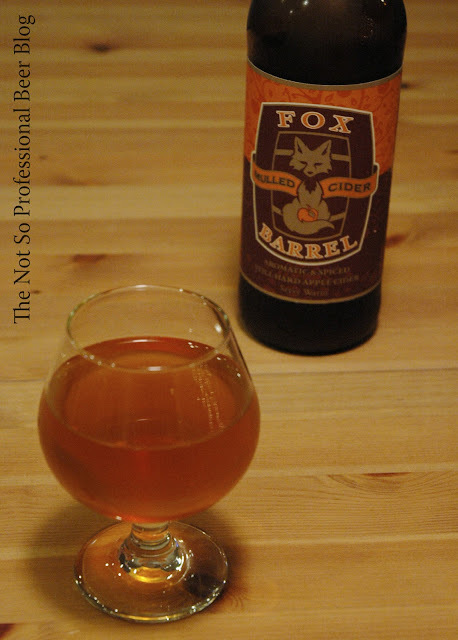 The Fox Barrel Cider Company is owned by Crispin Ciders. The tasting: When I popped the cap open, there was absolutely zero carbonated fizzy noise. At first I thought I had a bad bottle, but realized it was normal after the label reminded me it's uncarbonated. I warmed the cider according to the instructions. Aroma of alcohol, apple juice, allspice and light clove. Flavor mirrors the aroma. Warming the cider causes the alcohol to dominate in aroma and flavor. The strength of the alcohol took me by surprise on the initial sip. After a few more sips, it seemed to mellow (or I likely grew more accustomed to it). Spicing was subtle, and well done. It didn't dominate and allowed the apple flavors to come through. I didn't notice the sweetness from the molasses. I expect it served to raise the cider's alcohol content without adding residual sweetness. Rating: 3 star. Good. I would drink this again if someone gives it to me. 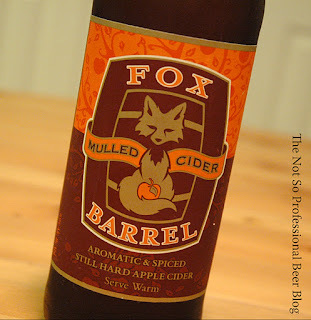 I liked Fox Barrel's Mulled Cider, but would have preferred a bit less alcohol as it was a bit strong when warmed up. I think mulled ciders are the perfect accompaniment to cold winter days. Consider serving one at your holiday gatherings. 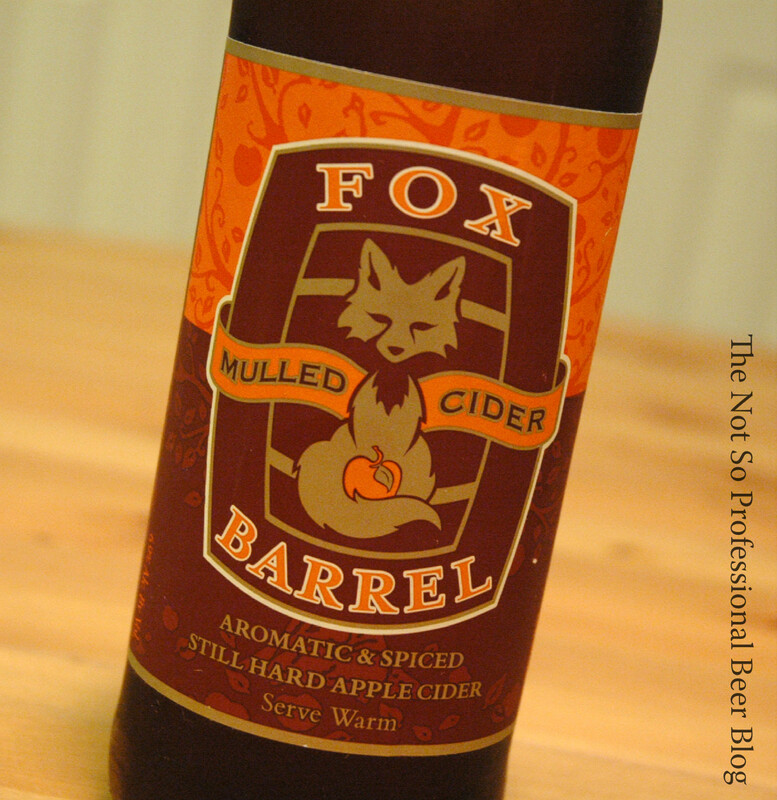 Have you tasted Fox Barrel's Mulled Cider? Try it cold some time! You'll still get that great spiced flavor without the overwhelming alcohol you were experiencing. If I'm with beer drinkers and I'm not sharing this one, I get the whole bottle to myself and drink it cold!